On February 17, 1976, a 26-year-old lawyer named Sylvia Elizabeth Mathis arrived at the sprawling Virginia campus that housed the FBI Academy. Like the other recruits, she was there to begin the rigorous four-month training program, and, hopefully, earn her stripes as a special agent of the FBI. Mathis, however, had an added motivation and challenge. 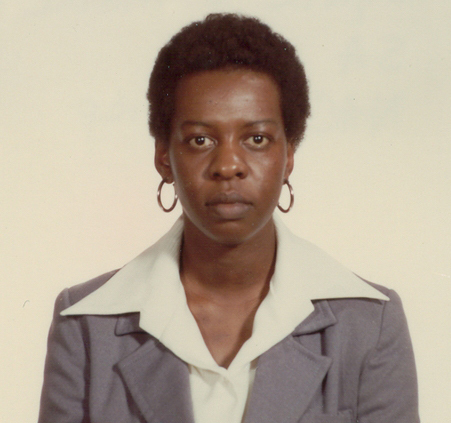 She was aiming to make history—to become the FBI’s first female African-American agent. It was an opportune moment. Nationwide, doors were finally opening for African-American women. Thanks to the groundwork laid by such 20th century pioneers as Mary McLeod Bethune, Dorothy Height, Rosa Parks, Fannie Lou Hamer, and Daisy Bates, the civil rights and feminist movements were converging and gaining momentum. By the 1960s and 1970s, black women—like Shirley Chisholm, who won a seat in Congress in 1968—were rising to positions of leadership, in government and elsewhere. Despite the signs of progress, Mathis had her work cut out for her. At the time, integration of women into the Bureau’s agent ranks was moving slowly. Only about 40 of the approximately 8,500 FBI agents were women; the first two female agents of the modern era—Susan Roley Malone and Joanne Pierce Misko—had earned their badges and credentials less than four years earlier. Though welcomed by some colleagues, women and minorities often felt out of place at the Academy. Then, as now, the training itself was also quite demanding. Candidates had to master a variety of academic subjects and excel at a series of real-world practical exercises. The overall physicality of the training was arduous and required less-athletic recruits—men and women alike—to put in extra effort. Even if they had never fired a weapon in their lives, trainees needed to quickly become proficient in marksmanship. In previous years many aspirants, including two female African-Americans before Mathis, had not been able to complete the training. But Sylvia Mathis was determined. Born on July 7, 1949 and raised in North Carolina and Florida, she had demonstrated both smarts and resolve. She earned a bachelor’s degree in political science from New York University in 1972 and a Juris Doctor from the University of North Carolina School of Law in 1975. Her law school dean, a former FBI agent, encouraged her to consider the Bureau. Given her interest in both the protection and enforcement of civil rights, she felt it was a good fit. She applied and was accepted in early February. As the training progressed, Mathis showed adaptability and dedication. Her six-week report noted that although she had some “difficulty in the gym and on the range,” she was working hard. Academically, she was performing well. Overall, her instructors were confident in her graduation and ultimate success as an agent, and they were right. On June 2, 1976, FBI Director Clarence Kelley presented Special Agent Sylvia Mathis with her badge and credentials, #2658. She was issued a leather attaché case, an unadorned purse, and a Smith & Wesson revolver with a snub-nosed barrel short enough to fit inside the purse. Following graduation, Mathis was sent to the New York Field Office and assigned to its organized crime squad, where she helped investigate illegal gambling and extortion cases. She worked a variety of other matters, including handling short-term undercover duties and interviewing survivors of the 1978 massacre in Jonestown, Guyana. In 1979, Mathis left the FBI and went to work as an attorney in New York for a few years before moving to Jacksonville, Florida, to be with her family. She was later named director of the city’s Downtown Ecumenical Services Council, which provides emergency assistance to those in need. Tragically, Mathis was killed in a car accident in October 1983. As the nation celebrates Women’s History Month and the FBI continues to mark the 100th anniversary of African-American special agents, the FBI is proud to honor Sylvia Mathis and her life of service. She helped pave the way for future African-American women leaders like Johnnie Gibson Bright, Cassandra Chandler, and My Harrison, who dedicated themselves to protecting the nation, even as they blazed a sometimes challenging trail in the FBI. The pioneering and vital work of women and minorities in the Bureau continues to this day, as does the FBI’s commitment to equality and diversity in its ranks.